Singapore Dependent Pass, DP, DEP. is extended to foreigners who applied and obtained in-principle approval for employment passes or other MOM / ICA passes e.g. DEP, STP, DEP, LTVP of 6 months or more and Permanent Residence (PR). Those applicants who are found to have active Tuberculosis or HIV infection will not be granted employment passes, DEP, long-term social visit passes or PR. Applicants who have been granted in-principle approval will be informed and given a copy of the medical examination form. 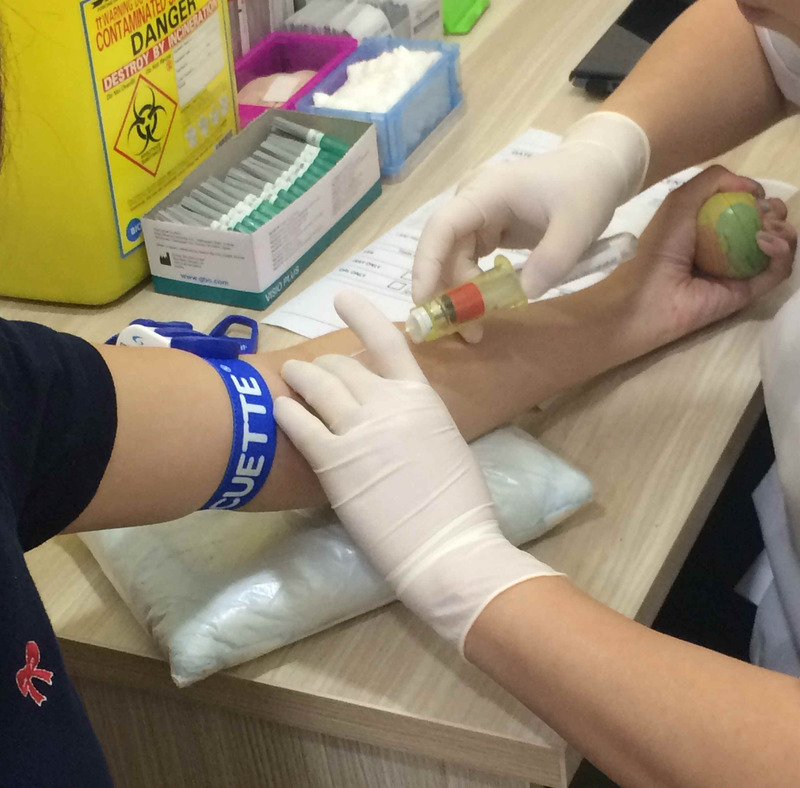 They are required to bring along the medical examination forms when they visit a registered general practitioner in Singapore for the medical examination. In the case of EP holders who is required to make only a self declaration of fitness for getting the EP Work Pass it would be optional but prudent to have have x-ray & blood tests FIT report to support the self declaration because if the declarant was actually TB or HIV positive an offence of making a false declaration on an official document would have been committed. The medical or lab test will be done in accordance with the prescribed requirements as stated in the pre-printed mom medical form of MOM IPA . The fee payable is a package fee, including where applicable the Xray or Blood Tests or both. 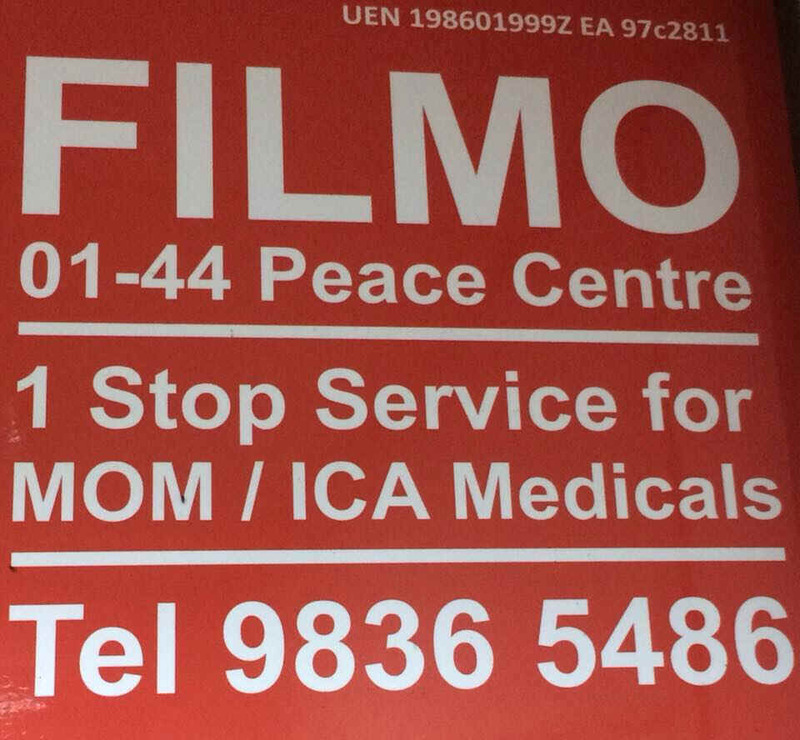 The fee for full normal Medical Exam to MOM/ICA requirement is S$50 in cash or nets payment. we can only accept appointments during weekdays between 0800-0830 am for the report to be ready by about 3-5pm on same day. The costs is $80-$100. A single official Receipt will be issued by FILMO only. The whole process usually takes about 15 minutes to 30 minutes. The Medical Report signed by the SG registered doctor would only be released on time if there are no Medical issues with the Blood test or X-ray results.